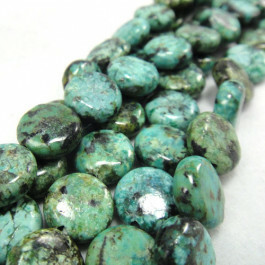 Whilst a beautiful stone African Turquoise is actually Jasper not Turquoise. 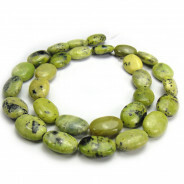 Used widely as a Turquoise substitute, it's found in Africa and is sometimes dyed to achieve more a turquoise-like colour. 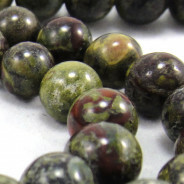 This stone is believed open ones mind to new ideas, also said to tame the wild sole and bring structure to ones life.